As SOS gets more involved with MEDiCT we will endeavor to keep all the people who helped out with donations etc informed. 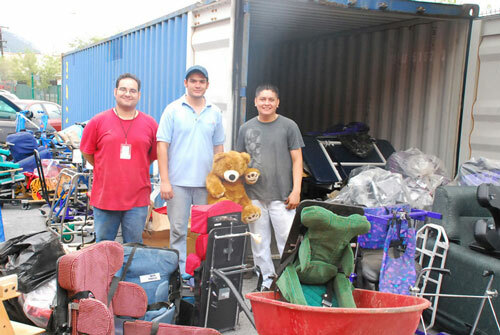 On the 18th June 2009 another shipment of Special Seating/Wheelchairs arrives in Mexico. The lovely staff and volunteers in Mexico sent us some photos of the unveiling. 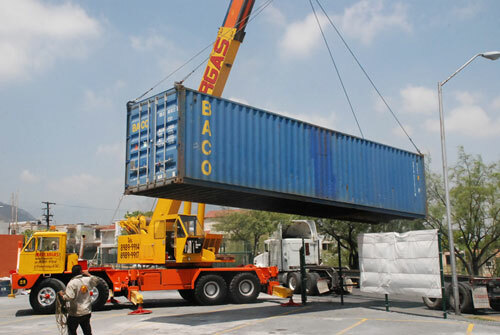 THe MEDiCT Teddy bear hitches a ride in our container. Hope he remembered his passport! SOS would like to say thank you to all those who donated and gave their time to make all of this possible.